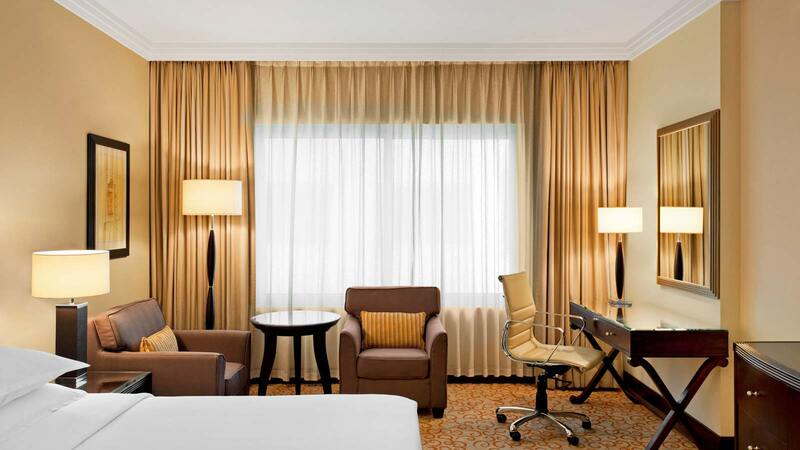 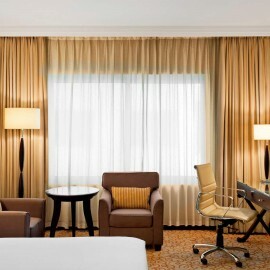 Located on the higher floors of the hotel, our king or twin bed Executive Rooms offer the perfect environment for business travellers, who also benefit from access to the Executive Lounge. 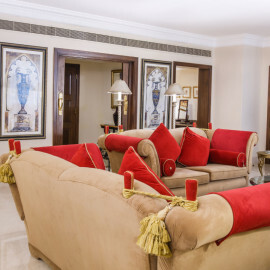 Guests can enjoy breakfast, afternoon refreshments and evening drinks. 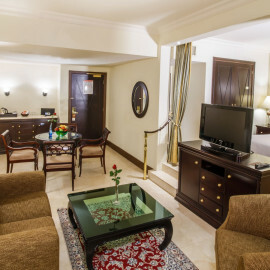 In-room facilities set over 30 sqm includes air-conditioning, a seating area, flat screen TV, a working desk, tea and coffee making facilities, and minibar. 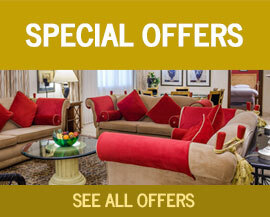 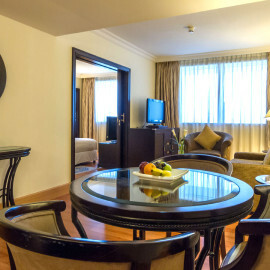 Executive Rooms can accommodate 2 adults and 2 children below 12 or a maximum of 3 adults.